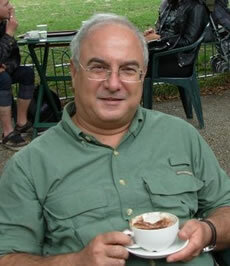 Osman Bacıgil was born in Istanbul in 1955. He studied Economics, and went on to work as a reporter, editor and manager in the print news and broadcasting sector for nearly thirty years. During this period, many of his daily investigative and research-based articles were highly appreciated and resulted in numerous awards. He won the Interview of the Year award by the Association of Journalists in 1988 with his piece called “Inca’s Grandsons are Startled”. Osman Balcıgil retired from journalism in 2000. His sixth novel, Love and The Sword in a Mason’s Lodge, was published by Destek Publishing House in December 2014. His previous books include The Lord of Knowledge, a huge bestseller in Turkey that sold out within three weeks of its first publication.